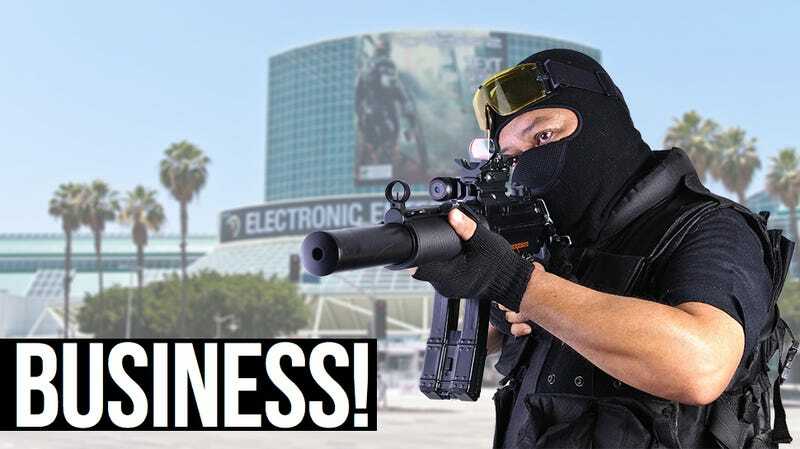 QUOTE | "We're looking at it as kind of the Navy SEALs of game development training." - Veteran game designer and director Warren Spector, talking about the new academic program he's creating at the University of Texas in Austin. QUOTE | "It's a good lesson for the indies out there - when the business is hard, trust the players." - David Chomard of Little Worlds Studios, talking about their 'Kickfailer' effort to save their studio by getting fans to contribute. QUOTE | "There's been such a gold rush for free-to-play right now that is driving... developers like us to focus on money instead of making great game content." - Ted Morris, executive producer at Petroglyph, talking about why game publishing should be driven by fun and not sales. QUOTE | "Without creating healthy independent game companies, then we're going to constantly be in the same rut... seeing the same stuff over and over again." - Versus Evil general manager Steve Escalante, talking about what it's like to publish indies in the self-publishing era. STAT | 2.2% – Percentage of free-to-play mobile game users who ever pay anything for the games, according to Swrve; some 46% of the revenue came from only 0.22% of the players, and 53% of spending happened in the first 7 days. QUOTE | "We also have a number of other franchises that people may not typically think about as eSports opportunities." - EA CEO Andrew Wilson, talking about the continuing growth in eSports and how some of EA's non-sports titles have an opportunity there. QUOTE | "It's a double-edged sword. If you upset them or turn them off, you're just not going to get anywhere." - Bob Holtzman of Squad, talking about the importance of community to their game Kerbal Space Program. QUOTE | "I don't know if people really know exactly what they want. I guess that's true of a lot of industries, but I mean this one in particular." - IGDA head Kate Edwards, talking about what she's trying to do with IGDA and some of the difficulties involved. STAT | 5 to 10 million – Number of Oculus Rift sales that Wargaming CEO Victor Kislyi wants to see before supporting the platform; Kislyi also notes that 75% of Wargaming's 75 million players "will never, ever pay us a penny." QUOTE | "We don't believe in virtual currency for kids." - Sagi Schliesser, CEO of TabTale, talking about their approach to kid's games and how they turn out 20 apps a month. STAT | 425 million – Number of paid mobile downloads for Tetris; that doesn't include the game's free-to-play versions or the 70 million-plus boxed versions.